(CRN) March 25, 2019 A 28-year-old man has been charged with murder in connection with an unprecedented attack on two mosques in the New Zealand city of Christchurch on Friday, which left at least 49 people dead.New Zealand Police Commissioner Mike Bush said the man was expected to appear in a Christchurch court on Saturday morning.Bush added that he was aware a name was being circulated in the media, but said it would be inappropriate to confirm that at this time. Police keep watch at a park near one of the mosques attacked on Friday.Two other people were arrested in possession of firearms. Police are trying to ascertain their involvement. 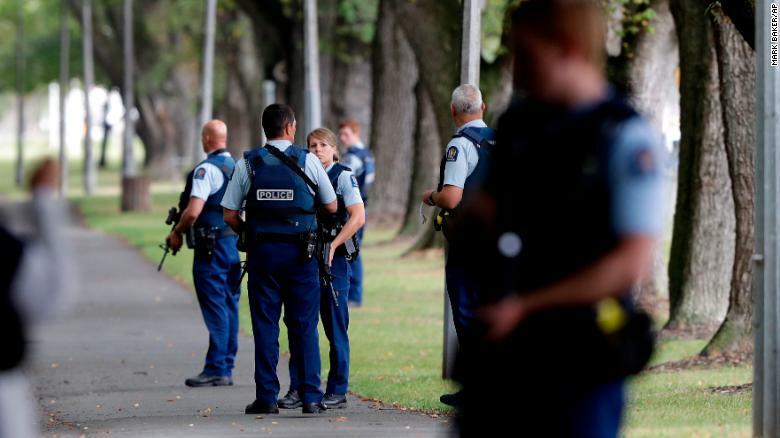 New Zealand authorities say they had no prior information on any of those detained, nor did the Australians.A number of weapons were recovered from the scenes of the shootings. Two improvised explosive devices were attached to a vehicle as part of the attack. A graphic 17-minute video shared on social media purports to show a portion of the attack.The footage, which appears to have been filmed from a helmet camera, shows a man driving through the streets of Christchurch. The camera pans to several weapons on the passenger side of the vehicle. At one point, the man turns the camera on himself, showing his face.He can be seen using GPS to navigate his way to Masjid al Noor mosque, where he opens fire on worshippers in a horrific attack.Police said they were aware of the video. They have asked social media users to stop sharing the graphic footage, which was streamed live on Facebook.“New Zealand Police alerted us to a video on Facebook shortly after the livestream commenced and we removed both the shooter’s Facebook account and the video. 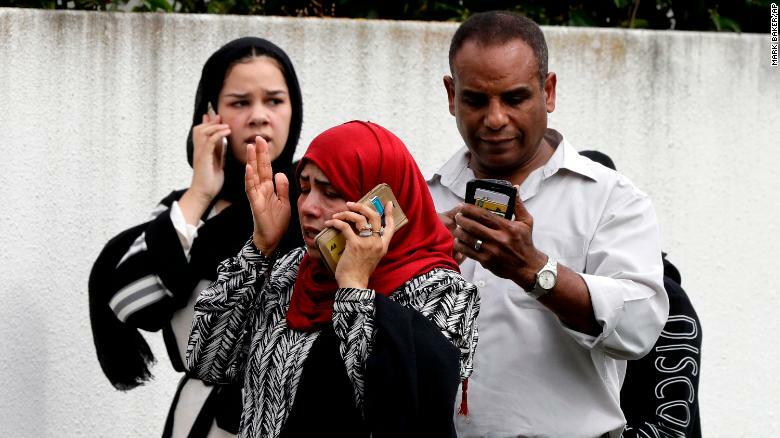 We’re also removing any praise or support for the crime and the shooter or shooters as soon as we’re aware,” a spokesperson for Facebook New Zealand, Mia Garlick, said in a statement. Just before the attack, an account believed to belong to the gunman posted a link to an 87-page white nationalist manifesto on Twitter and 8chan, anonline messaging board that has been used by anonymous accounts to share extremist messages and cheer on mass shooters.The same Twitter account shared photos of weaponry painted with the names of well-known mass shooters.The unsigned manifesto is filled with anti-immigrant and anti-Muslim sentiments, as well as explanations for an attack.